NEW JOB OPPORTUNITIES – APPLY NOW! 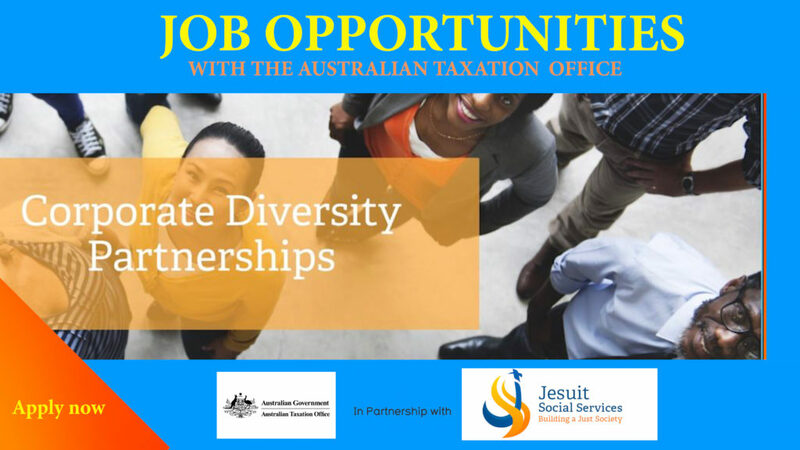 Jesuit Social Services (JSS) is collaborating with the Australian Taxation Office (ATO) to deliver the “Opening Doors” initiative, which is a program set up by ATO to offer twelve month paid employment experience to people from refugee and humanitarian backgrounds with Australian citizenship. Applications are now being accepted and will be opened till 20 December 2018, for roles to commence in March 2019. The Australian Taxation Office (ATO) is offering roles across a number of disciplines including finance, commerce, economics, human resources, information technology, administration and customer service. The offer is available to professionally qualified individuals from refugee and humanitarian entrant backgrounds seeking to establish themselves in Australia. 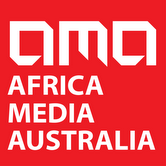 The positions are paid, full-time roles in both Sydney and Melbourne with a twelve-month period of maximum duration commencing March 2019. Individuals interested in these opportunities are advised not to the ATO directly. All enquiries to be made through email using the above email address. Applications are open from 5.00pm on Friday 16 November 2018 and will close at 5.00pm on Thursday 20 December 2018. Applicants can apply for up to two roles in each location (Melbourne and Sydney). To apply or for more information, please visit the Jesuit Social Services website here. APPLY NOW FOR THE OPENING DOORS INITIATIVE!